During the Fall, each academic program is asked to provide a summary of their assessment work during the previous academic year. This summary should also set their work into the larger context of the program's student learning goals with a focus on the processes followed, the student learning outcomes defined in their program assessment plan, and/or results from data gathered to measure these outcomes. The Department of Communication Studies continues to revise its assessment of student academic achievement. It continues to assess its four general student learning outcomes, but in the Spring 2011 semester, it must revise its assessment plan so that it reflects changes in the major. First, the program eliminated SPCH-S 421 as a required course for students. However, the program’s assessment plan still identifies it as the upper-level course in the major where it will assess student writing. The program has decided that starting in Fall 2011, it will assess student writing in SPCH-S 324 Persuasion. Students in both the communication and advertising track must take Persuasion. Second, the program will begin offering two new core courses for the communication track in the 2011-12 academic year. It will assess SPCH-S 210 Survey of Communication Studies (offered Fall 2011) using a multiple choice, pre-/post-test to evaluate students’ knowledge of the various subareas comprising the field of communication studies. The program will assess student’s in-depth knowledge of a subarea in the field and their critical thinking skills via a paper and portfolio that students must produce in SPCH-S 400 Senior Seminar (offered Spring 2012). The program will complete a grading rubric for the paper and portfolio by Fall 2011. The advertising track will assess its students via a portfolio review in TEL-T 441 Advanced Advertising Strategies (Spring 2012). Finally, the program made two changes to the communication track Fall 2010. The program’s proposed changes would not require students to each a concentration in a subarea of study within the field. Students would be required to complete 15 elective hours from a list of courses within the major. Also, the program decided to require communication track students to take an additional diversity course within the major, specifying five courses students could take to fulfill the requirement: CMCL-C 202 Media in a Global Context, SPCH-S 308 Family Communication, SPCH-S 421 Rhetorical Criticism, SPCH-S 427 Cross-Cultural Communication, and SPCH-S 450 Gender Communication. The program has decided not to have common student learning outcomes for these courses; the instructor of each course will establish diversity outcomes of the course and the assessment method she/her will use. The outcomes and method will be approved by the department faculty. We believe that students must develop the skills needed to comprehend and analyze a variety of texts to actively practice literary criticism, which requires developing critical reading, critical writing, and critical thinking skills. The foundation of the degree in literature is literary analysis. Students are expected to become close readers, to be attentive to literary styles and narrative techniques, and to read on various levels. In the process of learning, the students enter into a dialogue with texts, becoming involved in making meaning, be it through an interpretation of a play or a response to a film. Thus, literary criticism becomes an interpretive activity that students perform. Experiencing literature and film is not a solitary activity: it takes place within broader contexts of the classroom, the community, and the world. Responding to literature in a community of readers has an ethical role: through reading and learning about diverse expressions of human experience, students may overcome barriers created by culture, gender, class, ethnicity, religion, and so forth. Analyze literary works (examining features such as character, theme, language, symbol, etc.) both orally and in writing. Articulate their own argument/thesis about a literary text by expressing and supporting personal responses, assessments, and judgments. Understand and critically apply major theories of literary criticism to literature. Identify and discuss the ways in which authors and texts influence and are influenced by cultural and historical contexts. Develop sustained arguments on literary topics through research writing. These learning outcomes highlight the importance of active literary study—reading, writing, and interpretation. The past year saw continued progress in the Writing Program’s use of its established assessment tools for evaluating learning outcomes of students in the writing concentration. In 2006-07, we had drafted a rubric for evaluating capstone papers. In fall of 2006, we used this rubric to assess student writing from the spring 2006 capstone course, W490. As a result of these reading sessions, we revised the W490 curriculum to reflect better what we wanted our students to be able to achieve. This revised curriculum included an applied learning component in addition to the required formal academic research project, which we more explicitly keyed to the outcomes contained in the rubric. This revision of W490 was taught in spring 2007. During summer and fall of 2007, we continued to refine our rubric while evaluating papers from the spring 2007 section of W490. As a result of this ongoing assessment process, we began restructuring program goals for writing concentration majors by generating a written communication outcome that was incorporated into the revised department-wide English program goals, completed in Spring of 2008. The assessments of 2008 and 2009 capstone papers, however, have revealed the need to make further changes in W490 curriculum. Since its inception, W490 has required two major writing projects of very different kind, one a more traditional academic research project and the other, a creative genre project usually connected thematically with the research component. While such a curriculum seeks to help students perfect their writing skills across genres, the last two assessments have revealed that a single project curriculum, that of the research project, would be necessary if students are to perfect their academic reading and writing competencies to the achievement level we think seniors in our program must possess. As a consequence, the Writing Program decided to transition to the single-project model, which is being implemented in the spring 2010 semester. As of the spring of 2011, The Writing Program is currently assessing ten capstone papers from W490 randomly sampled from two sections, spring 2010 and fall 2010, to determine to what extent the single-project model described above has met our expectations of capstone level writing competency. The writing faculty will meet at the end of this semester to discuss our findings. By the end of this semester, spring 2011, the Writing Program will have created a new layer of our assessment for the Writing Concentration arm of the English major. We will initiate a tandem W290-490 portfolio assessment. W290 papers will be collected from English majors and uploaded to an OnCourse site. When the student takes W490, we will then assess both a W290 and 490 papers from each student to better determine progress in the major. The Fine Arts department conducts extensive student portfolio reviews as a means of assessing student learning in both the Bachelor of Arts and the Bachelor of Fine Arts. Students submit portfolios of their work after having completed all the Foundations courses (F100, F101, F102, and P273) and at least two of their 200 level studio courses. A similar review occurs at the end of a student's career through the Senior BA and BFA Exhibitions. An outside expert also evaluates the works included in these public exhibitions. All measures are directed by the Fine Arts Assessment Coordinator, which informs individual students of upcoming reviews. This assessment acts to guide individual students and provide useful information to the department on the program as a whole. The portfolio reviews are used to discover and address problematic areas for individuals through probation and additional advising. The guiding of students into appropriate concentrations also occurs at this time. For those students for whom a single focus is not academically appropriate, a Studio Arts concentration has been developed, in addition to those in Painting, Printmaking, Drawing, Ceramics, and Graphic Design. In addition, a concentration in Art History is now being offered. The students' knowledge of the history, origins, and theory of art is assessed in upper-level Art History courses through written assignments. The evaluation of vocabulary and core concepts occurs through pre and post-testing in the Foundations and Senior / BFA Seminars. As a result of the assessment process a number of departmental changes have been implemented. Further efforts on implementing the IUS Foundations book have been done by Donna Stallard. The integration of the Foundations courses through shared format and collective projects is being formalized as part of the new text. This year marked the first year of reviewing the acceptance of BFA students. After the student has completed their first 6 credits in the BFA program, the entire Fine Art faculty reviews their progress in the program. A "yes/no" criterion has been implemented to determine whether or not they have achieved sufficient progress to continue in the program. During this past year, we have continued to review the students' "Professional Disposition" as part of the 200 Level portfolio review. This and other criteria are being used to determine whether a student will be placed on probation and required to take a prescribed set of courses and may, under certain conditions, be required to leave the Fine Arts program. We began reviewing our Stem Scholarship recipients on a yearly basis to ensure they are keeping up with their responsibilities in maintain the level of performance required of that scholarship. As in previous years, Modern Languages continue to use the Wisconsin Test as an important assessment tool for the two-year basic sequence of German, French and Spanish. Since many leading American universities utilize this test, it is advantageous for our students to be measured by its established, high standards. This test is challenging in that it thoroughly covers the essential skills needed to acquire the mastery of a foreign language. Furthermore, covering the material in four semesters enables the student to achieve proficiency in not only the language, but also the culture, and prepares the student to function more adequately in a global world. Music faculty assess the BA in Music program based upon student achievement of two basic goals: substantive knowledge of fundamental areas of the musical language, including theory, music history/literature and basic music technology, as well as the development of skills in areas of special concentration such as performance, recording technology, acoustic or digital composition or music business. Music programs have a long tradition of evaluating performance in applied music through entrance auditions and placement tests, semester jury exams and senior recitals. Based upon past evaluations of student progress, the faculty added a sophomore gateway exam that tests both skills in the area of the student’s concentration and his/her ability to connect theory and history with these skill sets. The senior recital functions as the capstone project for performance and composition majors, and we created and strengthened capstone project requirements for music technology and music business students. Data collected about the quality of student performance from the sophomore gateways and senior recitals allow us to see variations between the level of quality in student performance and the level of strength with specific areas of knowledge. For example, in 2009, the sophomore gateway ratings showed that 66.7% were “Excellent” in the area of the knowledge of formal music structure (a function of our theory courses). In the same year, however, only 33.3% of music majors taking the gateway received an “Excellent” in the area of knowledge about style and historical context (a function of our music history courses). This helps us discuss areas of improvement in curriculum with the appropriate faculty members to determine which course of action would work for improving said outcomes. Music Technology majors are required to create a CD which includes a performances they have recorded/edited in various concert environments and with varied instrumental/vocal ensembles. In some cases they may have composed the music as well. The music business capstone is a paper associated with the student’s internship and constitutes either a review of the student’s work in the business or a business plan for a future business of their own. Assessment tools have also been developed to report learning in literature, history, theory and basic music technology. These areas constitute the core curriculum for all music majors. In addition to the statistics presented by the OIE assessment tools music faculty evaluate individual student progress, curriculum and the status of the physical and technical infrastructure needed for our program through monthly formal and more frequent informal meetings. The result of these various assessment activities suggested the need for some significant changes to our Music Industry program (music business and music technology/recording engineering). In addition to the incremental improvements we had been offering over the past 5 years, last year we added classes focused more directly on needs of musicians such as Music and the Law, and an Introduction to Music Business. For these courses we have been able to add several music business professionals to our adjunct faculty. We also are developing strategies to keep our equipment and physical infrastructure current for technology students as this is a fast developing field. We were successful this year in creating a formal relationship with TNT Productions which provides a professional recording studio environment for our advanced technology students, and we acquired $32,000 for sound engineering and other lab equipment on campus that will significantly help improve student learning in courses such as A301, A101, A370, A470 and A321. Changes have also been made within theory and history courses to address some student weakness in form analysis and vocabulary and applied music faculty continue to work towards improvement in student performance. The Department of Philosophy is committed to the essential work of assessment. We understand assessment to begin and end with the advancement of student learning. All our efforts have been designed to encourage and enhance the intellectual and moral development of all our students, both majors and non-majors. In the past decade, our assessment efforts have proceeded from general statements of purpose to more and more concrete endeavors. Last year, we conducted our program self-study and have made our assessment plan a chief focal point of that study. We are currently in the process of developing an action plan that will include significant revisions to the program assessment plan. All such developments are aimed at furthering the depth and effectiveness of student learning in philosophy. 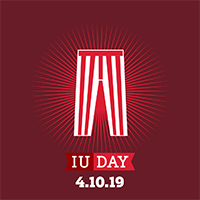 The Indiana University Southeast Theatre Department has been in development for its Assessment Plan over the past few academic years. During the 2009 academic school year the Theatre Program was able to completely retool and redesign our academic curriculum. With this new curriculum we will be able to better assess our students and better meet the goals that we see as important for a well rounded theatre education. With our new curriculum our assessment assesses the learning outcomes as laid out by the Bachelor of Arts in communication studies which begun in Spring 2010. The School of Business gathers assessment data for our undergraduate programs from several sources. We have an ongoing program of course embedded measures gathered for the purpose of Assurance of Learning (AOL). In addition, graduating students who take the capstone course in business in the spring and fall semesters complete the Education Benchmarking Inc. survey of graduating students and the Major Field Test in Business prepared by Educational Testing Services. The School of Business also has two active boards that are used to gather information to improve our programs, an undergraduate student board and a board of advisors consisting of local business people. We also have an active Undergraduate Business Programs Committee with representation from various disciplines to facilitate curriculum change and update policy based on faculty feedback and assessment results. The graduate programs in the School of Business have multiple sources for gathering assessment data. We have an ongoing program of course embedded measures gathered for the purpose of Assurance of Learning. In addition, the graduate students who take the capstone course in the graduate programs in the spring and fall semesters take the Major Field Test in Business prepared by Educational Testing Services. Because the numbers are small, we turn these tests in once, in the spring semester. The School of Business board of advisors consisting of local business people also provides assessment of the graduate program. We also have an active Graduate Business Programs Committee with representation from various disciplines to facilitate curriculum change and update policy based on faculty feedback and assessment results. The backbone of the current assessment framework for the SOE and its programs was developed before the December, 2005 onside visit by NCATE. 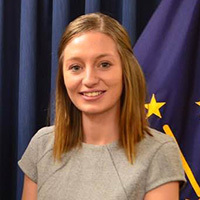 The system received high marks from that accreditation team and the Institutional Report written for the visit was posted as a model of excellence on the Indiana Department of Education’s website. Much of the credit for the IR’s success belongs to Dr. Carolyn Babione, the unit’s NCATE Coordinator. Within the last two years, SPAs (i.e., ones which are discipline specific such as the National Council of Teachers of Mathematics [NCTM], Council for Exceptional Children [CEC]) have replaced their various expectations and reporting protocols with a more unified one. At this point, each licensing area is riveting its attention on the six to eight comprehensive assessment pieces needed for its respective SPA. Rules promulgated in the summer of 2010 by the Indiana Department of Education, required several programs within the unit to reconfigure their program requirements, thus affecting summative decision points. OIE has had several directors, each with different slant on how the SOE should report to OIE. In the last couple of years, the protocol for SOE's reports was aligned more closely with the set structure of SPA reports. This was a movement in the right direction. 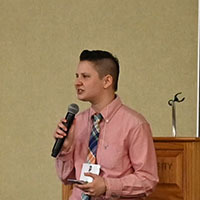 Revision of the program’s assessment plan became the primary goal of the General Studies Committee in the Summer and Fall semesters of 2010. Goals and objectives of the previous program assessment plan were somewhat flawed in their development and therefore no outcomes were being measured. The committee found assessment of an interdisciplinary degree, such as the Bachelor of General Studies, very challenging due to the variety of course work taken by students and the simple void of faculty in the program. A subcommittee (Saundra Gordon, Clint Franklin, and Ron Dunlop) was charged to improve learning outcomes that better reflect the Bachelor of General Studies degree’s learning goals. With assistance from Assessment and Research Specialist, Ron Severtis, the assessment subcommittee was able to develop a much improved program assessment plan, where data collection will begin in Fall 2011. The first level of measurement will come from various capstone course writing assignments and will be evaluated by a writing rubric, to be developed in 2011. Additional outcomes and measurement techniques will be developed in 2011 and 2012. 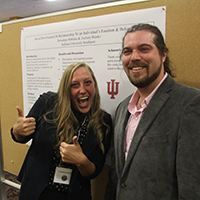 The Indiana University Southeast Honors Program (IUSHP) is piloting an electronic portfolio for the purposes of program, curriculum, and student assessment. The IUSHP requires that Honors Program students file items into their own electronic portfolios at the conclusion of each Honors Program course, and encourages students to refer back to their previous portfolio items, so that they might develop a sense of their development over time. Each eportfolio item is accompanied by a meta-cognitive note from the student, who is asked to reflect upon their development, strengths, areas for improvement, and any proposed changes they may make in how they approach their academic work. During 2009-2010, MLS students are assessed both in their MLS seminar courses and during their work on the capstone thesis project. Multiple measures exist for most learning outcomes, and students are assessed at various points in the program. Assessment data indicate that many students do not achieve the fundamental goal of synthesis of multiple perspectives until the capstone project. Changes in advising, teaching, and program requirements have been made to assist students in developing the capacity for synthesis and integration in preparation for developing the capstone thesis project: annual advising is now mandatory, stronger emphasis on synthesis in introductory course, and addition of self-reflective essay focused on synthesis prior to initiation of thesis project. As a result, the percent of students meeting the success criteria for synthesis has improved from 43% to 73%. The IUS Department of Biology is concerned with slippage in the success shown in student learning for several goals. The goals were just missed in several cases and in all cases relating to the assessment in Senior Seminar. For the next year we have refine our assessment and the assessment committee has made recommendations to the faculty to improve learning. In addition, this year were revised some of the assessment questions to refine the details of the goals so we can better improve learning in the future. We are also implementing a curriculum alignment project which will allow us to better identify where the weaknesses can be found and can be addressed. Based on last year’s recommendations, we have implemented additional assessment of data interpretation to better measure students’ ability to critically analyze and interpret data. The School of Natural Sciences attended a retreat in the Summer of 2010 which included a half-day assessment workshop by Dr. Susan Hatfield of Winona State University. The Dean of Natural Sciences, Dr. Emmanuel Otu, asked each discipline to reevaluate our assessment plan based upon the knowledge and skills learned at the retreat. Each program submitted a time table to him concerning the evaluation of our assessment plan. Chemistry hoped to rewrite the assessment plan to include differences between the BS and BA degrees and between chemistry and biochemistry degrees by the end of 2010. Curriculum mapping was to be completed by the end of the Spring 2011 semester. The chemistry program has run into some difficulty in that our number of outcomes is growing with the revisions and Dr. Hatfield said to keep the number of outcomes to below six in order to make data collection and analysis manageable. The program is planning a chemistry retreat this summer and the assessment plan revisions are on the agenda. The program hopes to have the revised plan ready to implement for 2011-2012. The Computer Science (CSCI) Department has a long history at Indiana University Southeast. 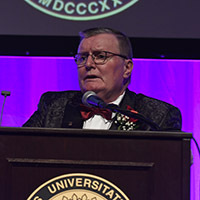 Since its inception, the department has strived for and succeeded in providing its students a curriculum that has prepared them to compete for jobs and for admission into graduate programs in business and computer science. The CSCI Department has redesigned its assessment methodology since its last report. We have developed a programming mapping of outcomes to classes. Data for these will be collected beginning the current semester (Spring 2011) for analysis in the Fall 2011 semester. 2009-10 Assessment Report not submitted. Students who successfully complete the Informatics program will have a broad understanding of Informatics and will wield a broad range of informatics skills to approach and synthesize information and develop creative Informatics solutions. These students will also be conversant in both oral and written forms of interdisciplinary communication to facilitate the application of theory and methods to the socio-technical problems facing society today. 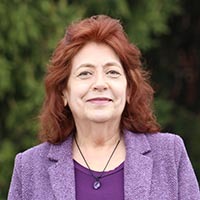 The Informatics degree program was started at IU Southeast in Fall 2006 and since then the department has been devoting considerable time and effort in creating and implementing a comprehensive assessment program to determine if the critical student learning goals are being attained. A comprehensive plan was put in place in Fall 2009 with the help of OIE and data was collected for the first time in the spring semester 2010. The results were mostly positive indicating that most of the learning goals were being met successfully. This year (2010-2011) the department has revised the assessment plan in response to the feedback from OIE. The new plan includes more specific goals devised from tying course outcomes with program outcomes and from having developed a curriculum map. The Mathematics Department assessment program is based on three learning goals: Students will acquire mathematical knowledge; students will develop learning and analytical skills; and students will be prepared for further learning and for careers in their field. Student learning in these goals will be measured by scoring final examinations in certain courses against assessment rubrics and criteria for student solution of selected problem types, recall of statements of theorems and mathematical definitions, and student writing of correct proofs. This pertains to the Department’s BA and BS degree programs. For the BS degree, the assessment program also includes assessment of student writing in the senior theses against an assessment rubric. The Department assessment plan also includes monitoring success of graduates in mathematical careers using alumni surveys. For the 2009-2010 academic year, the department collected assessment data from final exams representing five courses and 123 students. Our criterion for success was that 60% of students would correctly solve 70% of the assessed problems. For problem-solving, this criterion was met in M216, M303, M360 and M403, but not in M215 (which only had 33% of students correctly solving 70% of the assessed problems correctly). The same results were obtained for mathematics majors in these courses. For recall of statements of theorems and definitions, assessment results were missing for M303, but the criterion was met in M360 and M403 for all students and for all mathematics majors. (Statements of theorems and definitions are only assessed in M303, M360 and M403.) Proofs of theorems are only assessed in M403; for this course, the criterion was met for all students and for majors. In 2009-2010, there was one senior thesis that was assessed; it met the criteria for excellent or satisfactory in all outcomes. A planned revision in our assessment plan was completed in the Fall of 2010 regarding assessment of final exams. (This revision was completed in our department assessment meeting held on October 15, 2010.) As indicated above, assessment of student learning was performed for certain problem types specified for each exam. Our revised plan now uses specific problems that will be included in each exam (the exact same problems will be used every year). This will strengthen our assessment, allowing clear comparisons of results from year to year, while maintaining continuity with previous assessment results. The revised plan will be first used for final exams in the Fall of 2010. In 2000, the nursing faculty implemented an assessment program that focuses on the nine student learning goals and outcomes of the BSN curriculum. Based on evaluation of the data measured, the department makes changes to facilitate student learning. A new course, NCLEX Success through Critical Thinking was implemented to focus on preparation for the HESI Comprehensive Exit Examination and the National Council State Boards of Nursing’s NCLEX licensure exam. Successful completion as evidenced by a score of 850 or higher on the HESI Comprehensive Exit Exam is required to graduate from the nursing program. Assessment data for 2010 indicated that 95% of seniors passed the HESI Comprehensive Exit exam with a score of 850 or higher by the third attempt. Graduates from 2010 baccalaureate class had an 87.5% pass rate on the NCLEX which is above the national rate of 87.41% for first time US educated candidates. The Department of Criminology and Criminal Justice is committed to helping students master the key concepts in the field of criminology and criminal justice. Students who finish the degree will have a basic knowledge of theories and research methods in the study of crime. These students will also have a working knowledge of the criminal justice system, the American legal system and the law. These students will be able to apply these principles to solve problems in the criminal justice system and in the broader society. During the past five years, the history faculty totally redesigned and implemented the history assessment plan for the History Major. We have now matured in the way we process, collect, and analyze the assessment data. We take into account the pre-test and post-test components. The results from spring 2010 do point to a few issues. The Primary Trait analysis for the Senior Seminar (J495) in spring 2010 indicated that our students are performing reasonably well (the sample was much larger this year—12 students). The history faculty need to work on improving the students’ organization of the research paper. This is different to the data from spring 2009, when the students’ integration of the evidence and sources into the research paper and also the organization of the research paper were the major issues. The History Program also administered a Historical Knowledge test to J495 students. The students did very well but it is clear from the data that the history faculty needs to work on one specific area with the students. Finally, the History Program administered a Historical Terminology test in J495. The results were mixed and the history faculty will, again, emphasize this area more fully in H236 and in upper level courses. In short, we have the core strength of a strong major but there are areas (noted above) that need some work and also fine-tuning. This assessment plan is in the process of major revision. Because our program is heavily skills oriented, the best measure of success of the journalism program, ultimately, is how well our students are prepared to enter the profession of journalism. Therefore, the main focus of assessment in the journalism program has been on the practical and hands-on experience that students receive during their two-semester (6 credit hours) internship as reporters, photographers, page designers and editors on The Horizon, the weekly campus newspaper. In keeping with the trend of convergence, or the blending of print with audio/visual, the nature of the internship has expanded to give students opportunities to learn and practice skills in Web-based video production, editing and news-casting. News organizations today expect their reporters to have a wider skill set. The Horizon has long been the heart of the program for our majors. 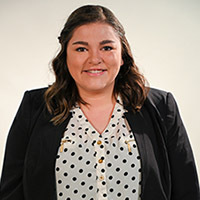 Their performance on the newspaper will help determine how successful they will be in making the transition from collegiate journalism to the professional world, either in journalism or a related field of communications. The campus newspaper has been instrumental in launching the careers of many of our students, who are now editors, photojournalists, TV news producers, reporters, copy editors and Web designers. The campus newspaper experience focuses mainly on how well students write and report, but also on their skills in design and photography. In addition to assessing competency in these skills, journalism students are also evaluated on their understanding of the historical, legal, ethical and social contexts within which journalists work. For assessment purposes, students who work on The Horizon turn in a portfolio of their work during a semester. These portfolios are then evaluated on a scale of 1 to 5, with 5 indicating high achievement. Based on the results of the scoring, it appears that students are making progress on applying Associated Press style, which is the standard of usage common to all newspapers. Improvement also has been made by students in structuring their stories in the inverted pyramid style of writing, a format basic to news writing. Various writing and research assignments in the Senior Seminar in Journalism and the Communications Law class are used to gauge how well students understand the history of news, the First Amendment, ethical dilemmas and the role of news in society. Students continue to show improvement in their knowledge of these subjects. In the Communications Law class, scenario law cases are prepared and argued in class, allowing the students to put their knowledge of communication law to use. This approach has been effective. During the past nine years, the political science faculty has been engaged in developing and implementing an assessment program. We developed three learning goals, with eight accompanying learning objectives. Based on the initial data received over the first several years, the political science faculty revised its program requirements, including expanding the number of sub-areas students had to take an upper-division course in, and revising the format of our research methods class. We also created Primary Trait Analyses for the research papers that are required for both our research methods and senior seminar courses. A base knowledge exam was devised during this process, and has been given to all of our students in our introductory American Politics course (required for all majors) and then given again as a post-test to our senior seminar students (also required for all majors). Students in our senior seminar were not performing up to par, and as a result, the faculty redoubled our efforts to shore up the areas we identified as weaknesses by putting extra stress on these topics in our classes in general. Weaker than expected performances on the primary trait analysis for our research methods class in the past led the instructors of that class to revise the course content in order to meet the needs of these students identified through the primary trait analysis. In the last year, we have worked to revise and refine the content of some of our assessment tools. We are also preparing to conduct another alumni survey as a new round of data collection. The psychology program has a long history of engaging in program assessment activities, using the accumulated data to revise and improve the program provided for our students. The faculty developed a mission statement, eight program goals, and thirteen student learning objectives. The eight program goals were adopted from the American Psychological Associations recommendations for undergraduate education. Results gathered in the past few years suggest that psychology students are quite successful in meeting these learning goals. We have made changes in recent years to help our students achieve greater success, including (in Fall 2004) integrating research methods and statistics into a single course to provide the students with a better learning environment and to meet the goals of understanding psychological methodology, information competence, and critical thinking. The current program assessment found this change effective in enhancing student learning in the goal areas. Most recently, we have completed a comprehensive review of our program and have developed plans for modifications to the program based on this review. One of these modifications is the addition of a required course designed to enable our majors to enhance their career planning. This course will be offered beginning Fall, 2011. Psychology also reorganized course requirements into three groupings. This reorganization provides a greater depth of content for student learning and added three units to the 30 credit hours previously required for a BA in psychology. We have also developed a BS degree so that we can better serve psychology majors who want to pursue a graduate program. This degree will be offered beginning Fall, 2011. The sociology department is committed to helping students master key concepts in the field of sociological study. Students who finish the program will have a basic knowledge of the sociological concepts listed below. Sociology students should demonstrate a working knowledge (by defining, mastering the characteristics of, and being able to apply the concept to an example) of key concepts in sociology. Sociology students should demonstrate a working knowledge of the major theories in sociology, the role of theory in building knowledge, and for a given social phenomena, construct a reasoned argument based on a theoretical perspective. Sociology should demonstrate a working knowledge of research methods in sociology; including recognizing how the scientific method is used; applying the proper statistical procedure to data; and interpreting the data appropriately. Sociology students should demonstrate a working knowledge of cultural diversity including the significance of race, ethnicity, gender, class and sexuality both within the U.S. society and in the global world. In order to determine if these critical goals are being accomplished, the sociology department has devoted considerable time and effort toward the creation and implementation of a comprehensive assessment program. Each year data is collected and analyzed and changes are made to our curriculum and pedagogical techniques to better achieve the desired learning outcomes. After examining the data collected last year, it became evident that our senior students were not scoring at the desired level of proficiency (70%) on a few concepts. We made revisions in our curriculum in order to put additional emphasis on these concepts, and based on these changes our seniors made significant improvement on several measures. During the the fall semester 2009, we implemented a multi-tiered model of assessment. General education goal of Diversity & Methods of Inquiry Behavioral and Social Sciences are assessed in S163. Goals related to theory are assessed in S441. Goals related to research skills are assessed in S251. Application of theory and research techniques is assessed in S470, Senior Seminar. Preliminary data suggest modest improvement in Methods and Theory scores, but additional work is still needed on a few areas. We have discussed modifications in classroom delivery methods, to improve student mastery of the concepts. We will continue to monitor progress in the coming year to see if additional changes are needed.